Day 3 of the FFA National Youth Championships for Boys at Coffs Harbour’s C.ex International Stadium saw the group stage come to a close and although the Northern NSW 13 and 14 Years squads performed admirably in their matches, they weren’t able to secure a top spot. 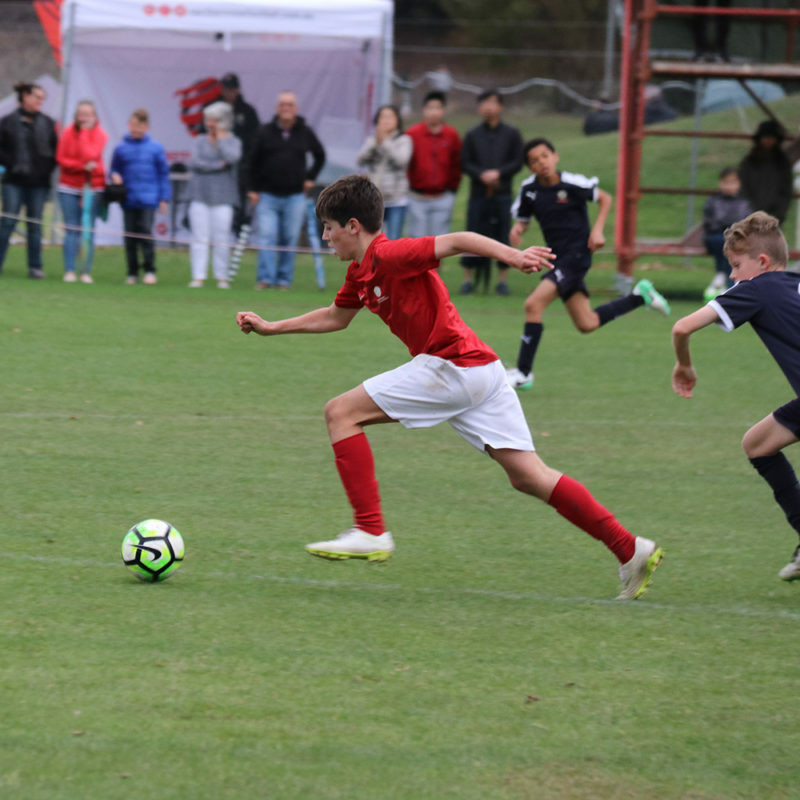 Having only lost one match across the first two days of the competition, the 13 Years side were keen to continue their solid performances and that’s exactly what they did by beating Perth Glory in their first match of the day. Max Middleby kick-started his team early on, grabbing the lead in the first ten minutes and although Perth Glory pushed for an equaliser, a late goal to Yue Han Leong doubled Northern NSW’s lead and sealed the victory – the side’s third of the competition. In their second match of the day, Northern NSW completed a dramatic comeback to grab a draw against Queensland Metro. Brayden Boonstra grabbed the lead with a goal in the opening minutes but their opposition answered back with three in the first half. Up stepped Bailey Newton though who managed to nab two second half goals to get his team the draw. NNSWF Technical Director Michael Browne said he was proud of the way his team performed once again. “The U13 Northern NSW team continued where they left off from Tuesday with a comfortable win against Perth Glory in the first game of the day,” Browne said. “It was a dominant performance capped off by some well worked goals. “The second game saw the team take a deserved lead before the game turned on its head with Queensland Metro taking a 3-1 lead. 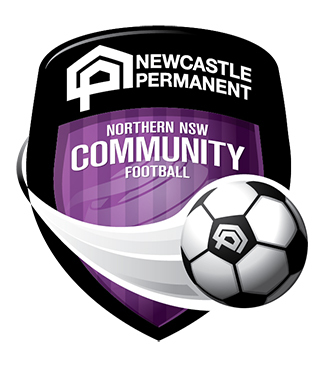 The 14 Years Northern NSW team started Day 3 on a disappointing note after going down to Perth Glory in a close battle. Finn Oakley-McLean scored the first goal of the match, but Perth were able to score three goals in nine minutes to ultimately win the game. The second match saw Northern NSW showcased a much sharper style of play, however, with almost the last kick of the game, Queensland Metro were able to find the back of the net, giving their opposition their fourth loss of the campaign. Browne said that despite the disappointing results of the 14 Years side, he was pleased with the courage they showed on the field. “The U14 side started well in their first game of the day against Perth Glory and deservedly took the lead midway through the first half,” Browne said. “Two goals in quick succession saw Perth take the lead before eventually running out 3-1 winners. It was another brave effort from the side but unfortunately they came up a little short again. “In the second game of the day against Queensland Metro, the team put up undoubtedly their best performance of the week. “They hit the post and had two efforts cleared off the line before conceding with the last kick of the game. “The players were extremely disappointed with the result, but they should be proud of their performance,” said Browne. The complete results from Day 2 and the rest of the tournament can be found here. Northern NSW’s 13 and 14 Years FFA National Youth Championships only played one game on Day 2 of the competition and although it was much drier than its predecessor, it was equally as challenging. Northern NSW faced off with South Australia Red in an afternoon 13 Years match and were able to collect a vital three points. Both sides were struggling to find a way through their oppositions’ defence, until Bailey Newton found his third goal of the tournament and it was enough to seal the sides’ second victory. NNSWF Technical Director Michael Browne said he felt the victory was a deserved one. “The first half saw the boys dominate the game and despite creating several good opportunities the score line was still even at half time,” said Browne. The 14 Years side followed the 13 Years and were also up against South Australia Red, however unlike their fellow Member Federation squad, they weren’t able to find victory. South Australia came out of the gates firing in the first half as they lead by two at the break, and the second half was much of the same as they scored yet another two. Captain Charlie Kelly nabbed a late consolation goal, but ultimately it was too little, too late. Browne believed his side may have been a little unlucky over the course of the match, but showed a fair deal of character and togetherness throughout the loss. “The first half was fairly even and within a minute, the NNSW side were denied a reasonable penalty claim and our opponents were awarded a somewhat harsh penalty at the other end and went 1-0 up,” Browne said. “Two well worked goals saw the South Australian team go 3-0 up and despite getting one back it was not enough and they ran out deserved winners. “South Australia would be one of the strongest U14 sides in the competition, but on the positive side, the staff were pleased with the way the team kept battling to the end,” Browne concluded. Day One of the FFA National Youth Championships for Boys begun at Coffs Harbou’s C.ex International Stadium and both the Northern NSW Football 13 and 14 Years sides found victories on the opening day. It was a close tussle in the 13 Years’ first match of the day, but Northern NSW weren’t able to stop the Football NSW Navy team as they overcame an early deficit to win. Northern NSW scored the first goal of the match through an own goal to lead at half-time, but a second half penalty for Football NSW Navy saw them equalise. Football NSW grabbed another not long after and it was enough to get the victory. Things were different in the second match of the day for Northern NSW though as they flexed their muscles against Northern Territory. Yue Hon Leong was amazingly able to find the opening goal in just under a minute of play, before Bailey Newton continued their dominance scoring a double in the first half. 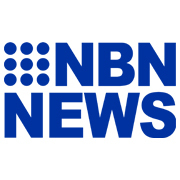 The lead was too strong for Northern Territory, and Northern NSW held on for their first win of the competition. NNSWF Technical Director Michael Browne said that despite the heavy rain and wet pitch, he was ultimately happy with the team’s performance and effort but there were things to work on for the next coming days. “Overall it was a decent collective performance with some pleasing individual displays,” Browne said. 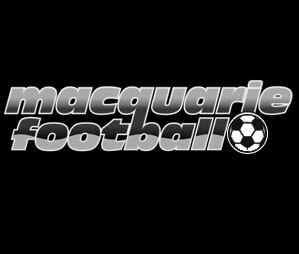 “The first game was fairly even and the boys missed several chances to extend their lead before conceding a late goal which saw NSW take all 3 points. “The afternoon game against NT resulted in a comfortable win, however, in terms of the performance it was a little disappointing. The 14 Years Northern NSW side were also up against Football NSW Navy in their opening fixture of the tournament and although the team showed promising signs, their opposition was far too strong. Finn Oakley-McLean scored the first goal for the team equalising the game, but Football NSW Navy grabbed two before the half-time break and the second half proved more of the same as Northern NSW finished behind. Their second match of the day saw those initial hopeful signs come to fruition as Northern NSW trounced Northern Territory. Beau Cavallaro scored after just four minutes and Taye Power O’Toole quickly gained his side a first-half brace. Charlie Kelly and Oakley-McLean scored two great goals in quick succession of one another in the second half and it put an exclamation mark on a terrific performance and their first victory. Browne admitted that although the first result didn’t go as hoped, he was proud of his team for their efforts and win in their second fixture. “The U14 side played a strong NSW team in the first game and were comprehensively beaten 4-1,” Browne said. “NSW were physically very strong and had some promising players and a couple of late goals saw them deservedly take all 3 points. “The afternoon game against NT, however, saw a much improved performance. “The team scored some well-worked goals and it ended up being a comprehensive victory,” he concluded.